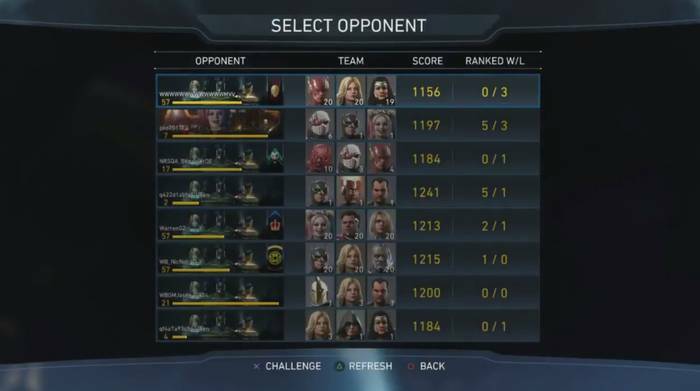 This page contains an introduction to the AI Battle Simulator Mode of Injustice 2. Click here to go to our Injustice 2 wiki page for more character guides, gear database, and tips and tricks! AI Battle Simulator Mode allows players to build a team of 3 CPU-controlled fighters and pit them against real players looking for a challenge. You’ll be able to deck-out your fighters with powerful gear and abilities to make it very hard for challengers to out your team. Whenever a player battles your team, you’ll be able to earn rewards based on the results of the match. This means that you can earn various loot and goodies by “defeating” (though you’re team would have done the work) other players online. If you’re ever online, this is a good way to obtain various types of gear for your characters. You can also check out our guide on how to farm gear for you characters on the link below! Since AI Battle Simulator Mode is an online feature in Injustice 2, you’ll obviously need Playstation Plus subscription to be able to access it.